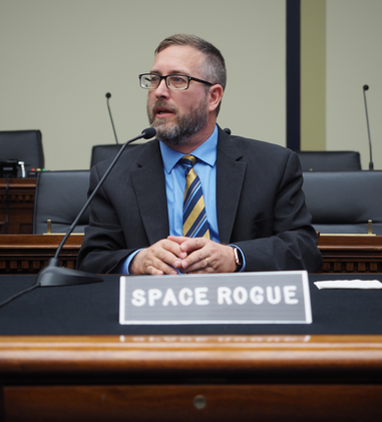 Cris Thomas, who also goes by the pseudonym Space Rogue, is the global strategy lead at IBM X-Force Red. I recently spoke with him to discuss his work as a penetration testing specialist, his role as a cybersecurity activist in the late 1990s. In 1998, Thomas and other members of attacker think tank L0pht Heavy Industries testified to Congress. L0pht is infamous for developing a series of hacking tools, such as Windows NT password crackers and a website called Hacker News Network. The white-hat hacking group also took on numerous consulting projects over the years and was recently back in DC to talk about what has changed, and what hasn’t, in terms of infosec. My interview with Thomas can be found in IBM’s Security Intelligence blog. This entry was posted in newsmaker interviews, Published work, security by dstrom. Bookmark the permalink.